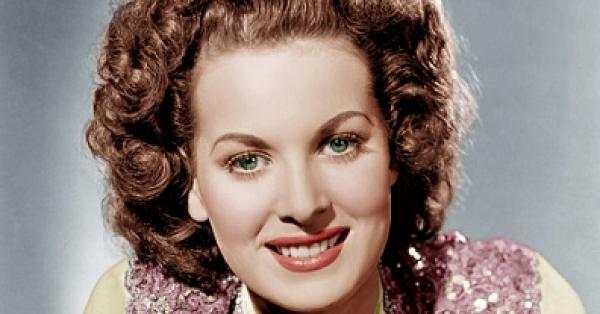 Maureen O’Hara was an Irish-American actress and singer, best remembered by the public for her roles in the films How Green Was My Valley (1941), The Black Swan (1942), The Spanish Main (1945), Miracle on 34th Street (1947), Sinbad the Sailor (1947), Sitting Pretty (1948), The Quiet Man (1952), The Parent Trap (1961) and McLintock! (1963). In 2004, she released her autobiography titled Tis Herself. Born Maureen FitzSimons on August 17, 1920, in Ranelagh, Ireland, to Marguerita Lilburn and Charles Stewart Parnell FitzSimons, she grew up in a close-knit Irish Catholic family. Her siblings were Peggy, Charles, Florrie, Margot, and Jimmy. She was first educated at the John Street West Girls’ School near Thomas Street in Dublin’s Liberties Area. She was married three times and had a daughter, Bronwyn with her former husband, Will Price. She died in her sleep at her home in Boise, Idaho in 2015 at the age of 95. *She was born on August 17, 1920, in Ranelagh, Ireland. *She had the desire of becoming an actress from a very young age. *She began dancing at the age of five. *She used to work as a bookkeeper and typist before she started her acting career. *On February 8, 1960, she was awarded a Star on the Hollywood Walk of Fame at 7004 Hollywood Boulevard in Hollywood, California. *She became a US citizen in January 1946. *She had starred with John Wayne in five films: Rio Grande (1950), The Quiet Man (1952), The Wings of Eagles (1957), McLintock! (1963) and Big Jake (1971). The first three were directed by John Ford. *She was good friends with Ginger Rogers, Anne Baxter, Robert Mitchum, Anthony Quinn, Lucille Ball, Lauren Bacall, Anna Lee, Stuart Whitman and French actress Irina Demick.